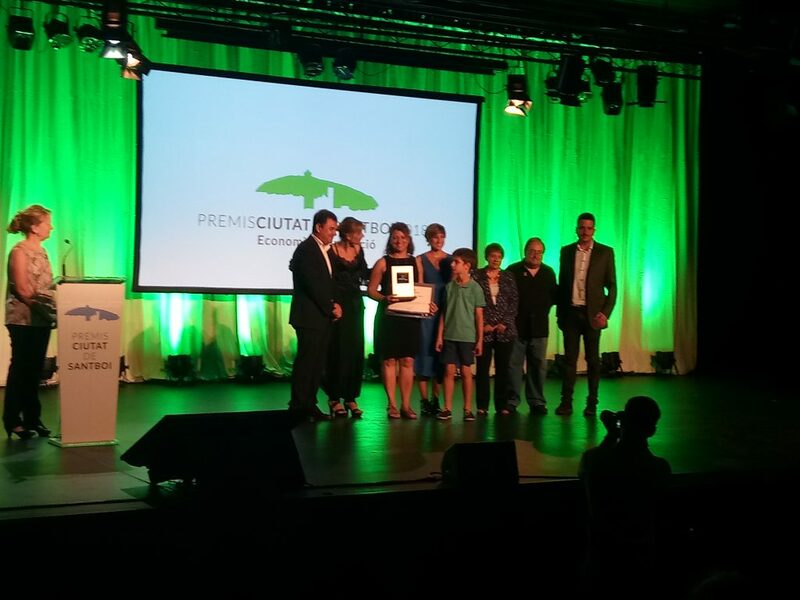 On 21 September, the ninth edition of the City of Sant Boi awards were held. An exquisite event with which the jury, formed by the council and citizen participation, recognizes “the brave people of the city who strive, who run risks and open roads”. On this occasion, the DNA FAMILY BOOK service was the first to be awarded in the Economy and Innovation category. The co-founder and general manager of the service expressed her gratitude for the recognition. “For us, it is an honor to receive this award […] because the jury has believed in our mission, which is to make genetics a real weapon for fighting diseases and promoting health. […] Patient involvement in the creation of medical technologies and services is very important. This is what we do, co-creation together with the patients, with the citizens, to create a service that reaches the people and works”. Following this link you will be able to see the existing categories and their prizewinners. See the publication of the magazine Viure Sant Boi (pages 2 and 5).